Projob P5406 Heavy-Duty 2-Tone Protector Jacket has zipper all the way up to the collar. Front zipper closure with press studs. 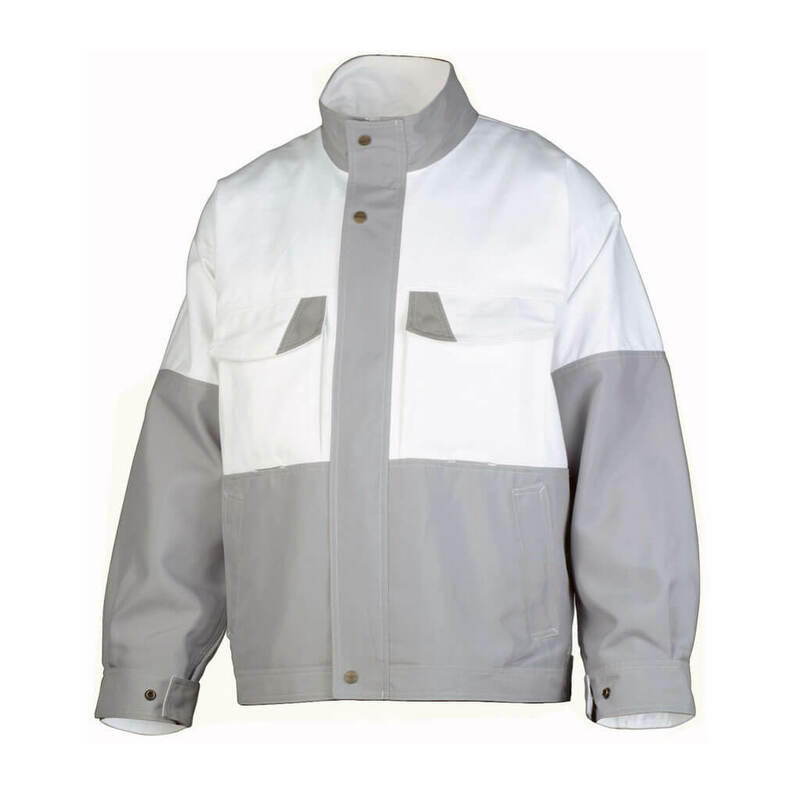 Reinforcement in lower part of front and sleeves in polyester protecting user from paint penetration. Two breast pockets with bellows pleat and CorduraÂ®-reinforced pocket flaps. Breast pockets adapted for Inbags. Two deep side pockets. Large inner pockets, one with room for documents and a smaller one with a zipper. Adjustable waistband and cuff with Cordura reinforcement.